Brunch! 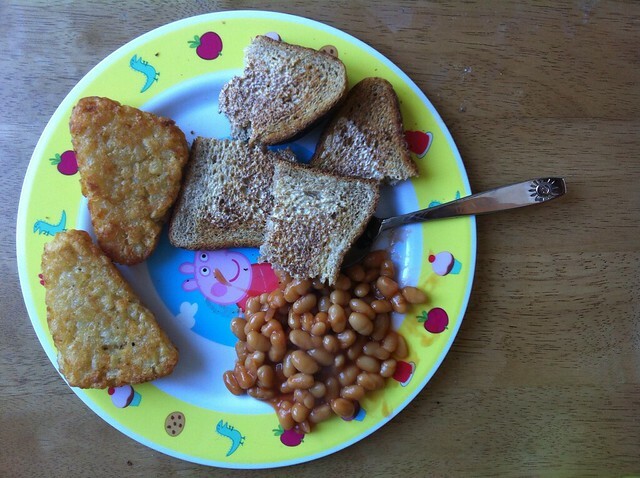 Hash browns, baked beans & wholemeal toast with butter. 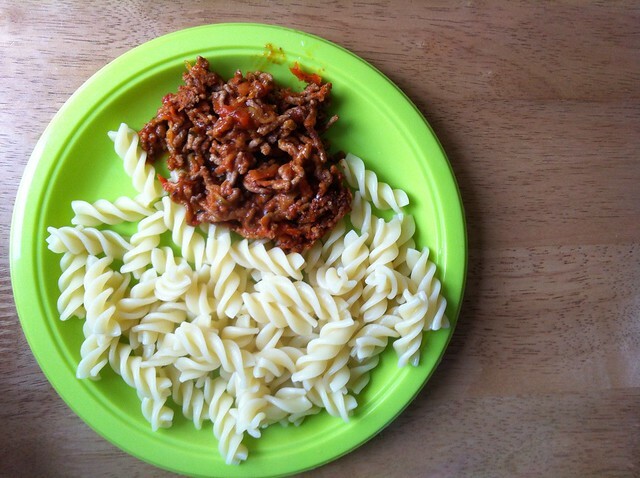 Fusilli pasta & mince with grated courgette, carrot and tomato passatta. 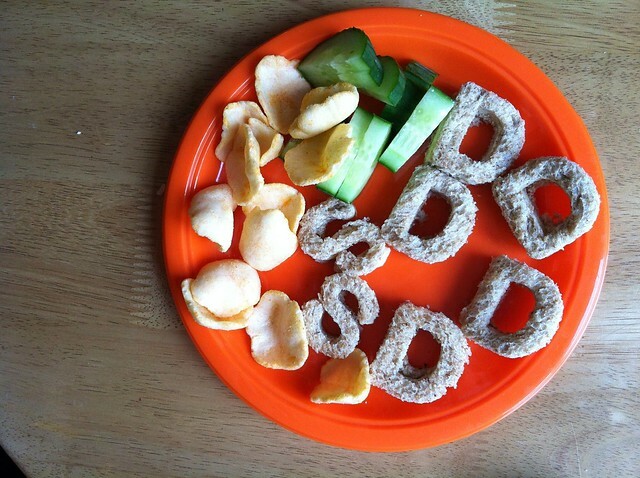 D & S shaped cheese sandwiches, Skips and cucumber. 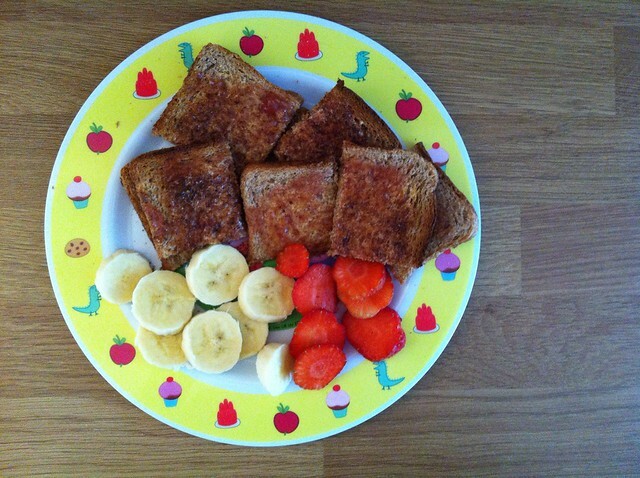 Tesco strawberry & banana smoothie jam on wholemeal toast, strawberries & banana slices. 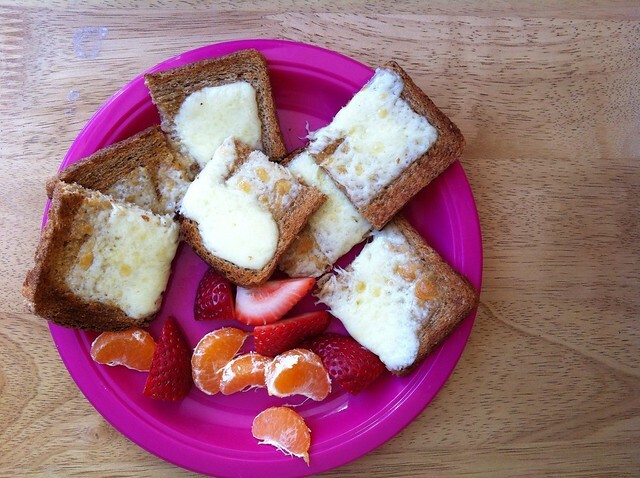 Cheese on toast, strawberries & clementine segments. 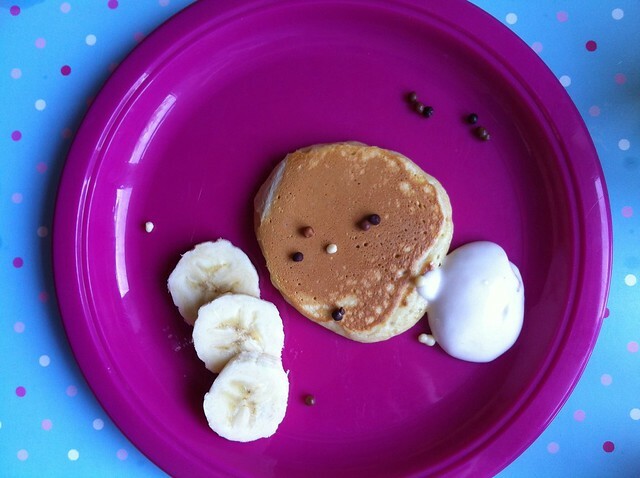 Pancakes, banana slices, strawberry yogurt for dipping & chocolate sprinkles!